We are one of the largest transcription companies, which provides the high quality transcriptions from audio and video tape transcription to the interview transcription. But now let us consider Audio video tape transcription service by transcribers. This service deals mostly with professional description by highly qualified transcribers and all transcripts are delivered in plain text, HTML, and MS Word formats. Audio Transcription:What Services Does It Provide? Our transcribing company produces a digital transcription and we deliver exceptional online transcription services for your audio presentations including seminars, lectures, interviews, sermons etc. We transcribe digital media (wav files, mp3, mpeg, wma, etc.) and may also accept CDs or DVDs on a case-by-case basis for general transcription. Audio transcribers work for your satisfaction and give you an immediate assistance without fail. Quality and effectiveness are our main qualities. Video Transcription Service: How Can It Help? Not everyone has the time to listen to a 60-minute audio of your seminar or conference but our video transcription can easily help you. Spend your time doing what you do best instead of sitting in front of a computer engaging with documents. Furthermore, scanning a transcript for information is much quicker than searching through hours and hours of seminar videos. Tape Transcription refers to the transcription of tape-based storage devices like standard cassettes, micro cassettes, VHS tapes, mini tapes etc. You get a digital transcript and a MP3 audio file. Transcription is done by supreme professional transcribers. Our tape transcription services come with the same high standards of quality with the help of our perennial experience. 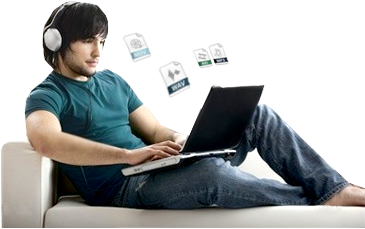 As you see the transcribing company performs all different types of transcription. Please do not be afraid to contact us and ask enquiries, we are wholly in your disposal and our main purpose is to serve the needs of our clients and give all kinds of help to them!